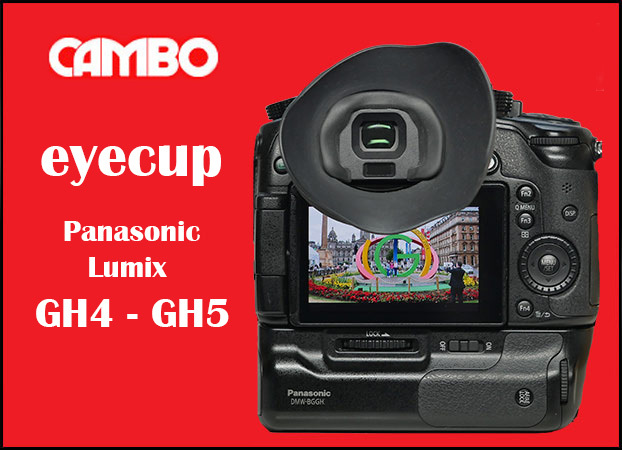 The eyecup is soft and very flexible fitting comfortably for left or right eye viewing. I really like this eyecup as you can use it wearing spectacles! As you can see from the picture, the eyecup fits around the existing one fitted to the camera. There is some obstruction when opening the screen and using the flash shoe. We point this out that 99%+ are very satisfied with the eyecup. Priced at €30.-- / $36.-- +TAX / VAT and postage. We read recently that anyone wearing spectacles have a problem using an eyecup... fear not, the cup is extremely flexible and we have used the same type of flexible material on the Cambo loupe. 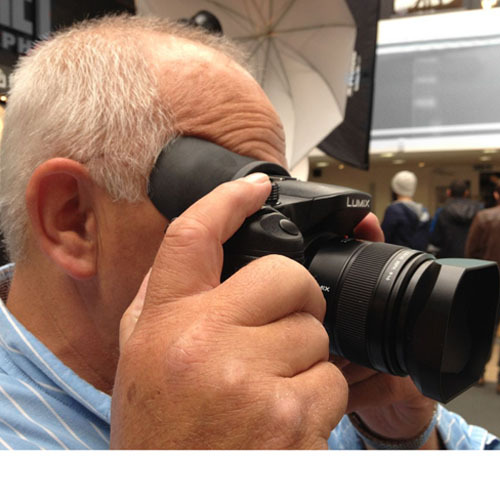 "My specs are frameless so are more delicate than framed - this eyecup works perfectly!"